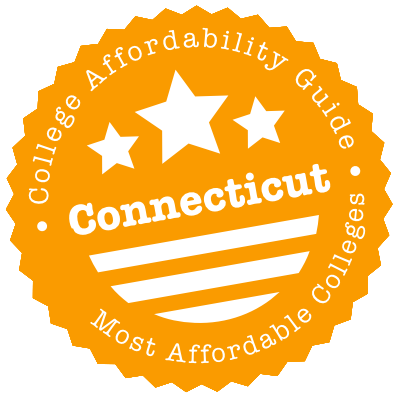 Scroll down to see our top-ranked colleges in Connecticut, loans and scholarships for Connecticut students, and advice on how to save money going to college in Connecticut. The Western Connecticut State University is a medium-sized public institution that was established in 1903. The university administers need-based scholarships and grants from a number of private endowments. Incoming freshmen residing in the town of Bethel at the time of their high school graduation can vie for the Clarisse & Henry Arnhold Scholarship, which covers the four-year cost of tuition and fees. The merit-based Grace B. Wheeler Robertson Estate Endowed Scholarship is awarded to a sophomore student from each school to fund their junior and senior years of study. Minority students may qualify for the Kenneth R. Fryer Memorial Scholarship. The amounts for these scholarships are determined at the time that they are awarded. Psychology students can apply for the Veronica Hagman Scholarship, a full annual scholarship awarded to a Psychology major every year. Founded in 1849, Central Connecticut State University in New Britain, Connecticut is the oldest public university in the state. Grant or scholarship aid from governmental, institutional or private sources is provided to 56% of undergraduates at the university, and 60% of full-time beginning undergraduates receive institutional grants or scholarships. Incoming freshmen are potentially eligible for 14 different scholarships, not including department, athletic or leadership scholarships. Freshmen students admitted into the Honors Program are potentially eligible for full-tuition or half-tuition scholarships, and 10 incoming students who score well in competitive English and math exams receive the four-year renewable CCSU Foundation Scholars award. The Connecticut State University Grant is also available to Connecticut residents, with the amount determined by the school's financial aid office. Founded in 1889 as a teacher's college, Eastern Connecticut State University in Willimantic, Connecticut is the third oldest public university in Connecticut. The university offers financial aid to 82% of full-time beginning undergraduates, with 48% of these students receiving institutional grants or scholarships. The school offers four types of scholarships: Honors Scholarships, Merit Scholarships, Presidential Scholarships and Phi Theta Kappa Scholarships. Honors Scholarships cover annual tuition for first-year students admitted into the University Honors Program. Merit Scholarships are provided to first-year and transfer students, with awards ranging between $2,500 and $9,000. The school also offers an institutionally-funded grant, the Eastern Connecticut State University (ECSU) Grant, which provides awards ranging from $500 to $12,000 per year based on financial need. Connecticut is an expensive place to live, but that doesn’t mean going to college there can’t be cheap. The state’s schools all offer scholarships and loans for students, much of them based on need. Connecticut also runs its own state financial aid programs to encourage Connecticut residents to continue their education there. These programs include the Governor’s Scholarships for public and private college students, as well as Connecticut State University Grants for those entering the state college system. And veterans can’t beat the price of public tuition in the state: It’s free. Read on to see what an affordable education in the Northeast looks like. In the Connecticut state college system, students are encouraged to follow the Transfer and Articulation Program, Guaranteed Admissions Program or the Transfer Compact Agreement. Through these programs, students are able to transfer credits from associate degrees, as well as complete appropriate coursework that is accepted at designated universities. The Transfer and Articulation Program is the most comprehensive option for Connecticut students interested in transferring credits from community colleges to four-year institutions. The students follow specific degree pathways laid out as they enter community college. Students enrolled in the program complete the first 60 to 63 credits at a community college, and complete the final 60 to 63 credits of their degree at a Connecticut state university. Under the Guaranteed Admissions Program, students in Connecticut community colleges can transfer to the University of Connecticut. The program requires students to enroll in a liberal arts transfer program at a Connecticut community college. Once an associate degree has been earned, students are guaranteed to have the credits transfer to a bachelor’s degree in liberal arts, agriculture, business, or other degree programs. Additionally, students are guaranteed admission. Connecticut’s Transfer Compact Agreement allows students to transfer an associate degree from a Connecticut community college to the Connecticut State University system. In this transfer program, students have at least 60 credits accepted with guaranteed admission to a state university with successful completion of the associate degree. College isn’t cheap, so it’s smart to try to get as much financial aid as you can. The best place to start looking is the Connecticut Office of Higher Education. Make sure to read its guide to financial aid resources, which has niche scholarships for students pursuing specific majors or careers. The Connecticut State Colleges and Universities website also has information on financial aid, and families willing to borrow for college can pull out a loan from the Connecticut Higher Education Supplemental Loan Authority. Keep an eye out for specialized scholarship funds. For instance, law enforcement officers and their dependents can look to the Connecticut Department of Emergency Services and Public Protection, which lists five applicable scholarship funds. And students in the western part of the state will want to apply for the Connecticut Community Foundation‘s scholarships. If college is several years away, look into the Connecticut Higher Education Trust’s 529 plan, which aims to make saving for college affordable for adults or their children. If you’re already of working age but earn a low income and lack funds for college, the Connecticut Individual Development Account may be for you. Through the program, the state contributes $2 for every $1 you save toward a specific goal, including college, up to a certain amount. Much state funding hinges on the Free Application for Federal Student Aid (FAFSA). Although FAFSA isn’t complicated, it helps to have someone make sure you’re not forgetting anything. The volunteers at College Goal Sunday Connecticut will help you fill out the FAFSA for free. Summary: In an effort to boost teacher diversity, the state gives up to $5,000 a year for upperclassmen from racial and ethnic minorities to finish a teacher training program. The recipients continue receiving half that amount for each of the first four years they teach in a Connecticut public school after graduation. Eligibility: Full-time upperclassmen at any of twelve participating colleges who are African-American, Hispanic/Latino, Asian-American or Native American can apply. How to Apply: Nominate yourself by filling out an application and having your dean officially sign off on it. Summary: Connecticut high school juniors can win $2,500 for their freshmen year in college based on their academic performance and leadership in extracurricular activities. Eligibility: Connecticut high school juniors planning to attend any accredited U.S. college are eligible. How to Apply: Submit an application directly to the Connecticut Better Business Bureau. Summary: Dependents of a parent in the state police can apply for funds through the Department of Emergency Services and Public Protection. Eligibility: The trooper can be active or retired, but he or she must have served for 10 years for the child to qualify for funding. How to Apply: Contact the Department of Emergency Services and Public Protection, Division of State Police, for application procedures. Summary: This modest award ($500 to $1,000) is aimed at Connecticut Talent Assistance Cooperative (CONNTAC) members who have overcome difficulties and low incomes to pursue an education. Eligibility: Applicants must be CONNTAC members enrolled in an associate or bachelor’s program. Neither of their parents can have a bachelor’s degree. How to Apply: Send an application, transcripts, personal essay and letter of recommendation to CONNTAC. You’ll have to verify your income as well. Summary: Continuing college students can get up to $1,200 from the state toward a public or private undergraduate program in Connecticut if they have performed well academically and have further financial need. Eligibility: Applicants must already have received a Governor’s Scholarship Need-Based Award (see below) in the past year to be eligible. They must also be Connecticut residents who have earned at least 30 credits in the last year, maintaining a minimum GPA in the process. How to Apply: Submit the FAFSA according to your school’s filing deadline. Summary: High-performing high school students can lock down up to $5,000 a year in state funding for a bachelor’s program and up to $3,500 a year for an associate program if they have financial need. Eligibility: Connecticut residents who ranked in the top 20 percent of their junior class, had an SAT score of 1800, or had an ACT score of 27 are eligible if they plan to attend a public or nonprofit college in the state. How to Apply: Submit an application via your high school by February 15. Submit the FAFSA separately by the same date. Summary: Up to $3,000 in state funds is available to students who show financial need and want to attend college in Connecticut. Eligibility: Basically, all state residents going to a public or nonprofit private college in the state are eligible. If their Expected Family Contribution according to the FAFSA is within the allowable range, they’ll get the award. Summary: Hartford residents can earn $20,000 for college by doing well in a Hartford public high school. Eligibility: There are several criteria students must meet to become Promise Scholars: live in Hartford and attend a Hartford public high school all four years, be absent no more than seven percent of school days, and earn at least a 3.0 GPA. How to Apply: Scholars are automatically identified during their senior year. If you’re identified, you must submit the FAFSA by June 30, show proof of residency and full-time enrollment at a college, and apply for additional scholarships to supplement the award. Summary: This renewable $1,000 to $5,000 scholarship from the Community Foundation for Greater New Haven rewards problem-solvers who want to go to college. Eligibility: Connecticut and New York City residents who are about to enter an undergraduate program (or who are in their first year) at any school are eligible, as are students from outside the region who plan on attending school in Connecticut or New York City. Financial need is not a criteria for winning the award, but it does effect the amount of the award. How to Apply: Submit an application that includes personal essays, letters of recommendation and other information that demonstrates your creativity. Summary: New Haven residents can get their entire tuition automatically covered at state colleges and up to $2,500 paid for at private colleges. Eligibility: To become Promise Scholars, students must live in and attend public high school in New Haven. Additionally, they must earn a 3.0 GPA, have a 90% attendance record, perform 40 hours of community service and have an exemplary disciplinary record. How to Apply: During high school (or even middle school), sign the New Haven Promise Student Pledge to enroll in the program. Assuming you have met the qualifications above throughout high school, apply for the scholarship during your senior year. Summary: Children who went through the state’s foster system can earn the equivalent of tuition, fees and on-campus room and board at UConn to attend any college in the country, though they are expected to search for other financial aid to offset costs. Eligibility: Those adopted before turning 18 from 2005 onward are eligible, as long as they are admitted to college before turning 21. They can renew their award each year until they turn 23, provided they maintain a 2.0 GPA and pay $500 toward academic costs. How to Apply: Send your application and copies of your acceptance letter, financial aid application and high school transcript to the Department of Children and Families. Connecticut is one of just five states without any state-sponsored loan repayment programs. Its graduates are still eligible for federal loan forgiveness programs, however, including the Public Service Loan Forgiveness Program and the Teacher Loan Forgiveness Program. Visit the Federal Student Aid website for more information on these and other programs. Summary: Tuition is free for veterans attending Connecticut public colleges. Eligibility: Connecticut veterans who have lived in the state for at least a year are eligible for free tuition if they were honorably discharged and were on active duty for 90 days during wartime. How to Apply: Get accepted into a Connecticut public college and fill out a tuition waiver form. Contact the Connecticut Department of Veterans’ Affairs for more info. College isn’t cheap, and neither is life in general. If you need help making it through the month, go to the Connecticut Department of Social Services for information on programs you can enroll in, including Care4Kids, which subsidizes child care to make it affordable for people with modest incomes; the Winter Heating Assistance Program for renters and homeowners alike to keep the gas and electricity on in the coldest months; and the Supplemental Nutritional Assistance Program (SNAP), popularly known as food stamps. Want help figuring out which benefits to pursue and how to apply? CTLawHelp.org, created by a network of legal aid nonprofits in the state, is an excellent resource for discovering state and federal benefits, as well as learning about your rights to a certain standard of living in Connecticut. You can even apply through the website for pro bono legal advice and representation if, say, you need help resolving a disagreement with a landlord over a bill. If you’re looking for an on-campus experience but don’t think you can afford it, there’s one school in Connecticut at which the room and board is 100 percent free: the U.S. Coast Guard Academy. Actually, it’s entirely free to attend as well, but its admission standards are very high and enrollment comes with an agreement to serve in the Coast Guard after graduation. None of the schools in our rankings require new students to live on campus, meaning that if you enroll you’ll have to decide right away what makes most financial sense for you. But keep in mind there are some advantages of living on campus that can’t be quantified. For instance, Eastern Connecticut State has Project M.A.T.C.H.–U.P., which pairs freshmen with upperclassmen mentors on campus. Also, students can move into a living learning community (LLC), which is an on-campus residence hall with a theme. Southern Connecticut State University, for instance, has LLCs for honors students, first-generation college students, environmentalists and health majors. The cost of living in Connecticut is generally higher than the national average, with housing one of the primary drivers of that difference — renting or buying is more expensive than in the nation at large. Therefore, students should look closely at how on-campus residence halls compare to living off campus. Two good tools for doing this are the calculators at CalcXML.com and MappingYourFuture.org. Not sure you can afford four years of room and board, no matter where you live? After a year living on campus, apply to be a resident assistant — the compensation is free room and board for the year. Most colleges in Connecticut give some kind of help to off-campus students. The University of Connecticut’s Division of Student Affairs, for instance, has the Off-Campus Student Services Office. Its website has a housing guide, links to furniture rental stores in the area, and information about programs specifically for off-campus students. But one of its best resources is its Zillow-like off-campus housing database, which not only lets students see local listings but also helps them find roommates. Southern Connecticut State University, meanwhile, maintains a housing directory for its commuter students, with listings within a 15-mile radius of campus. If your school doesn’t offer much in the way of off-campus housing assistance, you can always go it alone with a housing search tool like CampusRent.com, Uloop.com or Places4Students.com. These listings may not be in your price range, however, so it’s worth using CTHousingSearch.org, which specializes in affordable and market-rate accommodations. You may also want to go to the Connecticut Department of Housing website to see if you qualify for the state Rental Assistance Program or the Section 8 Housing Choice Voucher Program. Beyond the rent payments, coming up with a security deposit can be a major impediment to moving into your own place. Through the state’s Security Deposit Guarantee Program, those with low incomes who also meet one of 10 other requirements can forego this process and instead have the state put up a written guarantee of up to two months’ rent on their behalf. If you can’t focus on where to live for the semester because you’re too worried about where to stay this week, go to the Connecticut Coalition to End Homelessness and download its Emergency & Transitional Shelter Resource Database to find a place near you. It gets cold in Connecticut during the winter. The Connecticut Energy Assistance Program (CEAP) has three mechanisms to help households pay for basic utilities. The basic program gives up to $535 to low-income households for winter heating. Those who find themselves unable to secure primary heating fuel beyond the coming week are eligible for up to $550 in additional aid through the Crisis Assistance Program (CAP). The Safety Net Program gives $415 to people who have used up their CEAP and CAP benefits and still find themselves on the brink of going without heat in the winter. The Connecticut Department of Energy and Environmental Protection runs the Weatherization Assistance Program using federal funds with the same qualifying standards as CEAP — basically, homeowners and renters living at below 60 percent of the median state income. Beneficiaries of the program get a free energy audit and accompanying retrofits or repairs to make their homes more energy efficient, thereby saving on heating and air conditioning costs. Even if you don’t qualify for any of these state programs, you can at least get some advice on lowering your bills from your utility company. Eversource Energy, for instance, creates an energy savings plan for consumers based on their energy usage. While you’re there, see if you qualify for the utility company’s own financial assistance program, which spreads out overdue payments and even forgives some debt. Yale, Quinnipiac and University of Connecticut all have medical schools with hospitals attached, giving the state’s residents good options for state-of-the-art healthcare. Students, however, may want to look elsewhere for their basic healthcare needs. Those living on campus will probably find it most convenient to go to their campus health center. In fact, some schools, such as Western Connecticut State, automatically enroll you in the Student Sickness Plan, which can only be waived if you have your own insurance. The plan covers services such as family planning, STD checks, OB/GYN exams, labs and counseling. It is also a great starting point to get a referral to a specialist. Sometimes, even with insurance, paying for services can be out of reach due to high copays or deductibles. If this is the case for you, look into community health centers, all of which operate on a sliding scale for low-income patients. You can find a directory here. In addition to these low-cost centers, there are free clinics for the state’s uninsured. One notable one is AmeriCares, which works in Bridgeport, Danbury, Norwalk and Stamford. A comprehensive directory of both free and low-cost clinics can be found at FreeClinicDirectory.org. If it’s oral healthcare you’re after, you can see if you’re eligible for dental coverage under Husky Health, the state’s Medicaid and CHIP program. Its oral healthcare wing is the Connecticut Dental Health Partnership (CTDHP). Or you can take a crack at directly contacting one of the safety net dental clinics aligned with CTDHP. If you don’t qualify based on financial status, you may still be able to save money on dental care. If you’re in Farmington, you can get affordable care courtesy of the students, residents and faculty at UConn’s School of Dental Medicine. If you live elsewhere, see if there’s a clinic near you on FreeDentalCare.us. Dealing with college on a budget can exacerbate depression and bring other mental health issues to light. The state’s Department of Mental Health and Addiction Services maintains its own directory of mental health clinics. If a college has an early childhood development program, you can bet it has a child care center for students. Eastern Connecticut State University has preschool classes for three- to five-year-olds at its Child and Family Development Resource Center, where tuition is decided on a case-by-case basis. Central Connecticut State has the Early Learning Program, which encompasses preschool and day care for three to 14-year-olds. Students at the latter who need to cram for finals (or just want to go see a movie), can use the school-sponsored network of student babysitters. Go to the Connecticut Office of Early Childhood for a list of licensed providers in the state. While you’re there, see if you qualify for child care tuition assistance. There’s Head Start for low-income families and Care 4 Kids for moderate-income families. Nearly every college has some form of free transportation service for students, but some are bigger than others. On the small end is Connecticut College’s Camel Van, a free shuttle that runs four afternoons/evenings a week so students can go to Target or the movies in New London. In the middle is Trinity College’s U-Pass, which allows students to ride for free on CT Transit. On the big end is UConn’s transportation network, which has seven bus lines just to crisscross campus. Track buses in real-time via the website so you can maximize your time at the library. See if your school mentions free transportation or provides links to discounts on the student life page of its website. Three Rivers Community College, Norwalk Community College and Tunxis Community College all have on-campus food pantries for students. And other schools, such as Gateway Community College and Southern Connecticut State University occasionally host mobile food pantries on campus. If your college isn’t covered and you need support getting healthy food, the Connecticut Food Bank has a mobile pantry. Download the schedule and locate services on its website. If you’re thinking about going to bed hungry and can’t wait for the food pantry to come to you, find emergency food programs at HomelessShelterDirectory.org or this annotated directory of soup kitchens published by Network of Care for Behavioral Health. Of course, if you’re pregnant or a child under five, getting healthy food can’t wait either. See if you qualify for the Connecticut WIC Program, and start bringing home eggs, bread, vegetables, milk and other essentials today. There are three colleges in Bridgeport — Housatonic Community College, St. Vincent’s College and University of Bridgeport — and two more within five miles of the city — Fairfield University and Sacred Heart University. The cost of living in Bridgeport is reasonable for the state, but nowhere near cheap. In nearby Danbury, home to Western Connecticut State University, housing & utilities can often be more expensive. Action for Bridgeport Community Development does a little bit of everything for low-income city residents. It provides day care and preschool programs through its early learning centers, facilitates applications for the state’s energy assistance and weatherization programs, and uses an approach called Human Services Infrastructure to link families directly with the services they need, from food pantry vouchers to state agencies to rental assistance. The Community Action Agency of Western Connecticut, which is based in Danbury, also has multiple programs. It runs both a food pantry and early learning center for children from one to six, and connects low-income residents to programs that pay for rent and utilities. Parents with young children can also benefit from its free diaper program. Operation Hope runs a food pantry and community kitchen in nearby Fairfield for people who periodically have trouble getting a nutritious meal. It also owns and maintains its own apartments, and charges below-market rent to people who have previously been homeless. Optimus Health Care runs eight health care centers for people with or without insurance and uses a sliding scale for billing. Its services include primary care, preventive medicine, mental health and dental. The Bridgeport regional field office of the Connecticut Department of Social Services has more information on social services in the area. The City of Bridgeport also has a social services department which can provide referrals to government and nonprofit programs. It’s the same story for New Haven in terms of cost of living, and no wonder: Yale University is within the city limits. So too is the more affordable Southern Connecticut State University, which is in our rankings, and Gateway Community College and Alberts Magnus College. How do these students afford to live in such a pricey city? Living on campus can be a good option to avoid housing costs. The Community Action Agency of New Haven helps people enroll in the Connecticut Energy Assistance Program and the Weatherization Assistance Program to receive utility subsidies and reduce heating costs, respectively. It also runs the S.M.A.R.T. Women program for single mothers to get financial assistance with things such as security deposits. The Fair Haven Community Health Center caters to low-income patients, with locations throughout the city providing care to adults and children. Their services include dental and behavioural/mental health. NeighborWorks New Horizons exists to put people with modest incomes in affordable houses and apartments. Check out their rental properties, then take their budget coaching and rental readiness classes to make it work. TEAM, Inc. is another multifaceted nonprofit that does everything from run a diaper bank to mediate disputes between tenants and landlords through its Eviction-Foreclosure Prevention Program. It also facilitates individual development accounts, which give matching funds to people saving to go to college. To find more programs in the area, visit the New Haven regional field office of the Connecticut Department of Social Services. Hartford proper is home to six colleges, and Central Connecticut State University, which sits in New Britain, is less than 10 miles away. Hartford and New Britain students have to deal with the same high cost of living as other Connecticut residents, with high prices for child care, housing and healthcare common. Community Renewal Team can help, no matter the issue. For instance, it has a mental health clinic with a sliding payment scale, runs a Head Start program for low-income parents to get child care, and schedules regular financial literacy courses. Foodshare is the regional food bank and the best point of contact to find local food pantry locations, download mobile food pantry schedules, and sign up for the Summer Food Service Program for kids. Greater Hartford Legal Aid works pro bono for people near the poverty level on civil issues who are handling evictions and unethical landlords, facing employment discrimination, having trouble receiving government benefits or experiencing similar issues. Human Resources Agency of New Britain does it all. For instance, it runs courses in financial literacy and budgeting, gives emergency funding for utility bills through Operation Fuel, and has a toddler and preschooler child care program. The Hartford field office of the Connecticut Department of Social Services can point you in the direction of additional services. Hartford also maintains a directory of city services.